Two bloody games which are bloody good together. Warning: This review may contain minor spoilers for the original God of War. 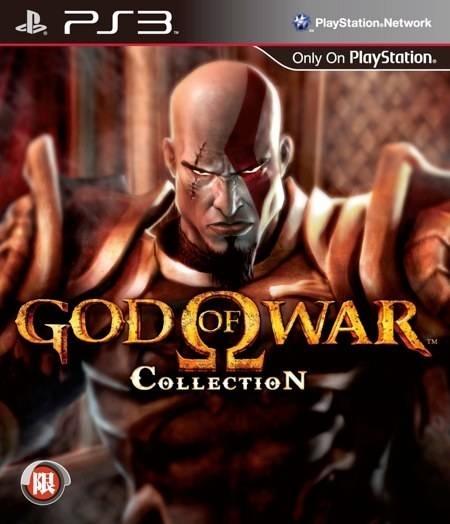 God of War and God of War II are two of the most critically acclaimed titles in the PS2’s library. In fact, that might be an understatement, because they are two of the most acclaimed action games of all time. 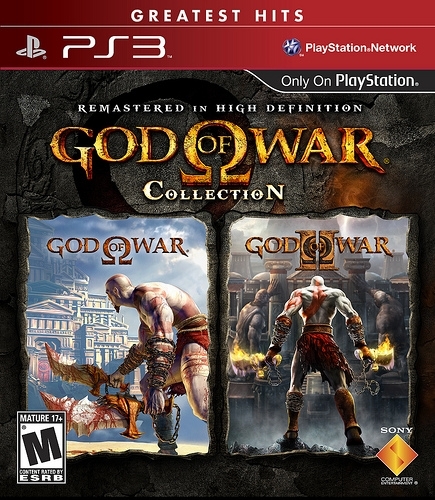 In anticipation of the release of God of War III, Sony tasked developer Bluepoint Games with the remastering both titles in HD for one affordable package. But do both mythological adventures remain enthralling despite their age and under the scrutinizing lens of current generation expectations? The visceral combat system is the defining aspect of God of War. With the conjoined Blades of Chaos serving as his primary weapons, Kratos fights his way through the annals of Greek mythology in the absolute goriest way possible. This title is not for the squeamish or faint of heart; dismemberments, eviscerations, and decapitations abound! The tight control scheme makes this possible, and indeed, enjoyable. Square is for swift-light attacks, triangle for slower but heavy hits, and circle for grabbing onto enemies. X jumps, pressing it twice double jumps, L1 blocks, the right analog stick evades, L2 utilizes magic and the Dpad toggles between your various magical abilities. The learning curve is very accessible so you will get acclimated to the controls in no time. After a ferocious boss encounter with the Hydra, Kratos expresses his frustration to the goddess Athena. Athena promises to free him from the curse of his horrific past if he manages to kill Ares, the God of War currently destroying Athens. The only way to kill a god is with the help of Pandora’s Box which Kratos sets out to procure. 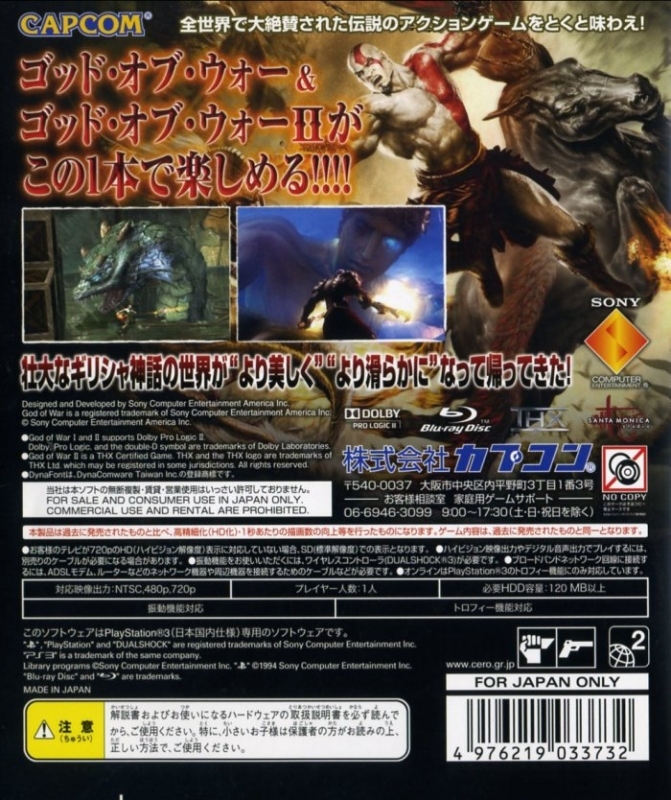 The story is presented through a mix of in-game and CGI cut scenes, accompanied by omniscient narration. Beyond a gluttony of blood and gore, the story is fairly mature, taking on themes such as savagery, greed and retribution. Without revealing too much, I will say that God of War has a knack for the use of gripping storytelling to complement the rest of the game. Back on the subject of combat; it is excellent. The game throws a wide variety of enemies at you, several waves at a time. The chief achievement of the combat is that it remains stellar throughout, making almost every enemy encounter seem significant. This includes the time spent scaling walls and traversing rope lines. Over the course of your journey, you will collect multiple red orbs which can be used to upgrade Kratos’ weapons and powers, leading to deadly combos and attacks. 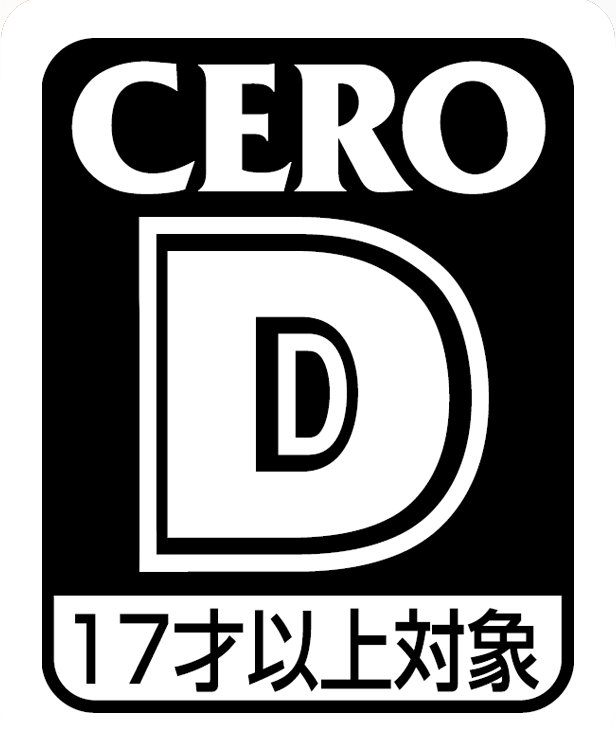 You will not be able to cruise through the game relying on any one method of attack, because the game requires a fine balance of physical and magical attacks, along with defensive blocking and evasion. 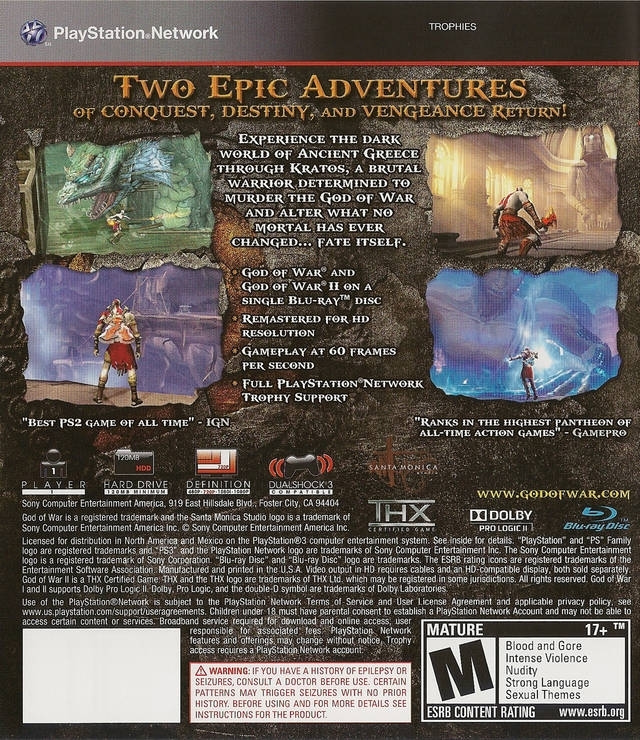 God of War is partly famous for its use of Quick Time Events (QTEs). Despite the common association, they are only utilized where appropriate. For the most part, these are initiated when a circle highlight appears over the head of a subdued enemy. What ensues are short mini games that either involve pressing the face buttons or matching the displayed movement of the analog. The prompts flash quickly and in succession. Success is rewarded with brutal fatalities such as ripping the head off a gorgon or stabbing a cyclops in the eye. Failure results in damage being inflicted or in some cases an equally brutal death for Kratos. QTEs are also used for certain action sequences that could otherwise not be performed in game, and to punctuate the end of boss fights. Besides being an excellent action romp, God of War features brilliant level design. This is made apparent once you venture to Pandora’s Temple (conveniently located on the back of a Titan) to find the box capable of killing Ares. Think of it as one giant Zelda-esque dungeon, replete with puzzles and challenges. While some can be mind numbing tests of skill and intellect, many rely on pulling levers and rotating switches. I won’t go into further detail about the puzzles, just know that there are enough to break up the combat yet still feel like an important part of the game. There is enough diversity in the game scenarios and level design to ensure that the 7-10 hours spent in an average playthrough are truly memorable. Having played the original PS2 game on my backwards compatible PS3, I can say with confidence that God of War looks better rendered in HD than it did upscaled. The graphics do show some signs of age, particularly the in game cutscenes which were left untouched, but despite this it is still a good looking game featuring amazing animation. 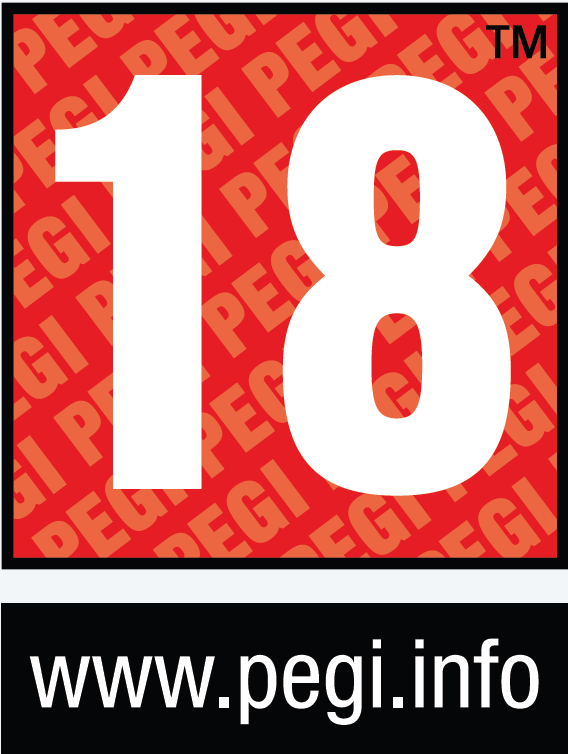 The fact is, whether you loved or loathed this game when you first played it, this edition will not change your mind. There are still only three boss battles and pretty much everything else remains as it was. 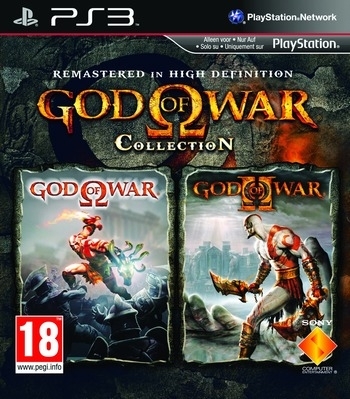 I could go on for ages about why God of War is worth playing but it only comprises half of this epic collection. God of War II picks up exactly where the first game left off with Kratos sitting on the throne as the new God of War. Still haunted by visions of his past, he disregards the will of the other Olympians and continues fighting for the glory of Sparta, by attacking Rhodes. In an effort to stop him, Zeus animates a colossal statue of Apollo to impede Sparta’s march on Rhodes. Yup, the first level is basically an expansive boss fight, one of the first signs that the developers sought to remedy some criticisms leveled at the first game. Overall, there are a lot of cosmetic and small scale improvements found in God of War II. Some are well executed, like scaling walls and crossing ropes with greater ease. Others are inconsequential, like mashing circle to open doors instead of R2. The combat remains essentially the same, which is a good thing, but also good is that the developers didn’t rehash the same abilities and weapons which players of the original became accustomed to. A refreshing new selection distinguishes the fighting from the original. Personally, I relied on Athena’s Blades more than the Hammer or Spear you find later on, but that’s just me. If God of War is the intimate origin story, then God of War II is the sprawling overly ambitious blockbuster sequel. 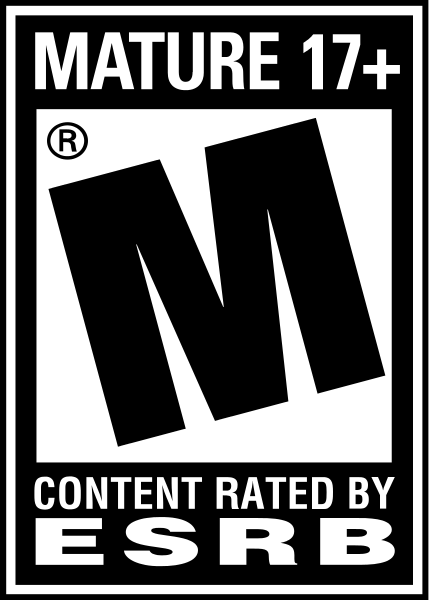 There are a plethora of action sequences that offer new gameplay experiences. For instance you will take flight with Pegasus and assail oncoming griffins and other flying creatures. You will climb your way out of Hades (again), battle while plummeting hundreds of feet, and fight in the intestines of a Titan. The story centers around Kratos seeking revenge against Zeus, who has fooled him to relinquishing all his power and destroyed Sparta. 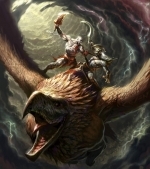 Kratos is assisted by the Titans who were defeated by the King of Olympus many millenia before Kratos was born. In order to overthrow Zeus, Kratos ventures to the island of Creation where the three sisters of fate hold the key to correcting the past. Narration employs the same techniques found in the original but focuses more on Zeus’ past than that of Kratos. Time manipulation is another new feature used for both puzzles and combat. By pressing L1 and R1 in proximity to certain statues everything in the environment except Kratos slows down. The change is only temporary, though, so keep your wits about you: certain situations require you be smart on your feet when time is of the essence. The feature never comes off as gimmicky or exploited, rearing its head only when astutely crafted puzzles call for it. Another new feature is the ability to latch onto a swing from hanging protrusions using your blades. This will have Kratos swinging through certain areas like an ancient Spiderman and allows for a memorable and thrilling segment involving a collapsing bridge. God of War II can come off as a bit more violent than its predecessor, because of more detailed and better-animated ways to kill. The number of context-sensitive fatalities rises greatly, along with the number of bosses. Concerning the boss battles though, it is a matter of quality versus quantity, because while there are many, some heavily outclass others. The story pays homage to many popular Greek myths, so you will come across the likes of Prometheus, Perseus, and a not so kiddy Icarus. The one superlative God of War II undeniably earns is in the graphical department. It was quite possibly the best looking game on PS2, so the bump to 720p HD and 60 FPS does wonders for this visually stunning title. That includes the in game cut scenes. God of War II does everything that constitutes being a great sequel. However, I personally preferred the original, for its stronger story and the sheer brilliance of its execution. 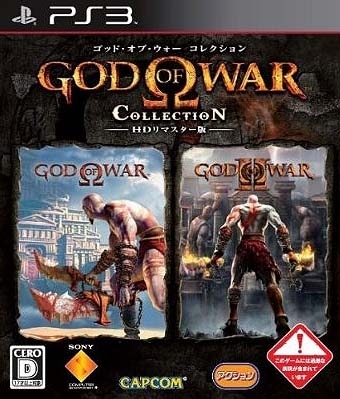 Both games as well as the GOW II bonus videos are accessible from the easy-to-navigate start up menu. I’ve already discussed the visual benefits of a single Blu-ray, but on the audio side of things, there is a lot of praiseworthy design. The voice acting is top notch, as are the musical scores and intense sound effects. However, not all is heavenly with this port. Although sparse, God of War I has some random loading issues. God of War II is sometimes susceptible to a glitch where the volume of dialogue drops for no apparent reason. Unfortunately, my first play through of God of War II ended prematurely thanks to a game-breaking glitch that forced me to delete my save and start over. Other than those gripes, Bluepoint Games did a fine job bringing these modern classics to the PS3, even going so far as eliminating any screen tearing found on the PS2. God of War II lasts a little longer than the original, taking between 7 and 12 hours. So, between both games, you have roughly twenty hours of content, not counting the time it takes to complete the Challenge of the Gods or Challenge of the Titans along with subsequent replays on the unlockable difficulties. Both games come with their own set of trophies meaning two platinums for the avid trophy hunters out there. All this plus an exclusive (well, somewhat exclusive) demo for God of War 3 launched for $40 MSRP ($30 as of the time of this writing). So that brings us to the question: Just who should buy God of War Collection? If you've played these games before, there really isn’t anything new to draw you back other than the trophies, and the thrill of experiencing them again in high definition. If you are looking to jump into the series for the first time then this is the best way available. 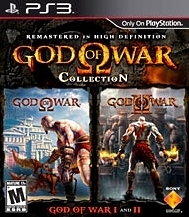 God of War Collection is an epic deal in every sense.